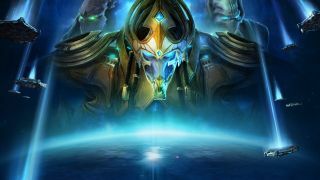 Blizzard has announced that it will begin sending out invitations to the StarCraft 2: Legacy of the Void closed beta at the end of the month. The studio has also released a video previewing the beta, in which it says that "much has changed" since it was revealed last year at BlizzCon. Some elements of the game will be missing during the beta, but Archon Mode, which allows two players to share control of a single army, will be available right from the start. The in-game economy has been tuned to provide resource advantages to players who aggressively expand and defend their bases, and the accuracy of units given attack commands has also been increased in order to make them more reliable in combat. The preview video also shines a light on some of the changes and additions made to the Terran, Zerg, and Protoss forces. "As you are likely aware, we’ve been trying to be as open as possible with the status of our development, and strongly believe that the increased cooperation between developers and players is beneficial to StarCraft II. To be clear, our goal for this expansion is to work together with all of you to make Legacy of the Void as awesome as possible," Blizzard wrote. In order to maximize user feedback, Blizzard is starting the beta test earlier in the development process than it normally would, and will let it run longer than usual as well. Invitations to the Legacy of the Void closed beta will begin going out on March 31. Hit up Battle.net for all the details.